Helping patients access Sheppard Pratt expertise from remote clinic locations. 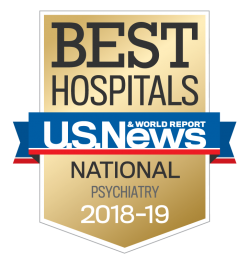 At Sheppard Pratt Health System, our commitment to improving the quality of mental health care includes innovative services, such as telepsychiatry. Telepsychiatry gives patients at health department clinics and federally qualified health centers (FQHCs) timely access to psychiatric care — and much-needed relief from conditions such as depression. Telepsychiatry is a form of telehealth that provides a convenient alternative to waiting months or traveling great distances for psychiatric care. Using secure videoconferencing technology, we connect patients at clinics throughout Maryland with psychiatrists at Sheppard Pratt. High-definition cameras with wide viewing angles. This technology allows us to detect nonverbal cues, such as toe-tapping. A noise-canceling sound system that eliminates echoes, making it easier to communicate. Sheppard Pratt was among the first health systems in Maryland to deliver telepsychiatry services. This level of experience means you can rely on us for effective care and a good patient experience. Expertise: Our psychiatrists treat common and complex problems, including co-occurring conditions, such as depression and substance abuse. All providers have completed training in using telehealth videoconferencing technology for an experience without distractions —one that feels more like a regular office visit. Convenience: We make it easy for patients to connect with us by offering telepsychiatry services throughout the day. Our pediatric specialists are available most afternoons, allowing children to receive much-needed care without missing school. Secure technology: Our videoconferencing technology meets all state requirements assuring patients’ privacy and confidentiality during telehealth visits. Telepsychiatry services are available at health departments and FQHCs that have a formal partnership (contract) with Sheppard Pratt. Patients access services during a scheduled office visit at their local clinic. The patient sits in a private room. The videoconferencing technology allows them to interact with a Sheppard Pratt psychiatrist. Nurses and medical assistants at the clinic set up the equipment and coordinate follow-up care, including lab tests. Our psychiatrists provide prescriptions to a local pharmacy electronically or via telephone.